My honey Magnolia: Magnolia Advent calendar + Happy Birthday to me! Magnolia Advent calendar + Happy Birthday to me! Oggi sono qui perché è una giornata davvero speciale! Prima di tutto è il mio compleanno..perciò Tanti auguri a meeee!Sono 24! Ma ancora più speciale perché oggi è il quarto giorno del Calendario dell'avvento della Magnolia!!! 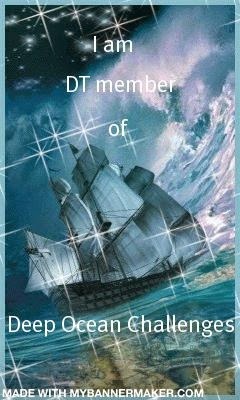 ogni giorno ( fino al 31 dicembre), un membro del DT Magnolia pubblicherà un lavoro natalizio sul proprio blog e, lasciando un semplice commento sul quel blog avrete l'occasione di vincere un premio segreto della magnolia. Domani sempre sul mio blog verrà annunciato il vincitore del premio! Ed ecco quello che ho creato io per la splendida occasione! Hello to all,how are you? Today I am here because it is a very special day! First of all today is my birthday..so happy birthday tomeeee!I'm 24! 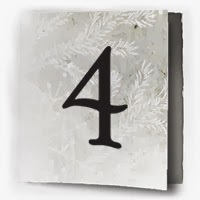 But even more special because today is the fourth day of the Magnolia Advent Calendar! every day (until 31 December), a member of the Magnolia DT publish a Christmas work on her blog and leaving a simple comment on that blog will have the opportunity to win a secret prize from magnolia. Tomorrow always on my blog will be announced the winner of the prize! And here is what I created for the wonderful opportunity! mi raccomando, per avere l'occasione di vincere un premio segreto da parte della magnolia dovete lasciare un commento a questo post! Ovviamente ricordatevi domani di venire a vedere se avete vinto! I recommend, for a chance to win a secret prize from the magnolia you must leave a comment on this post! Of course, remember to come tomorrow to see if you have won! Your card is so gorgeous. Giada!!! Tanti auguri a te, tanti auguri a te, tanti auguri a Giada, tanti auguri a te!!! Per fortuna non mi senti cantare...ehehehe! Complimenti per tutti i tuoi lavori, sei bravissima, questa card mi piace un sacco!!! Card stupendaaaaaaaaaa, una curiosità, vedo sempre quei fiori lisci "arrotolati" ma è una fustella???? Grazieeeeee!!!! Si il fiore ē una fustella della sizzix! Si chiama Rose 3D! P.s. la card è stupenda, sei proprio brava! In primis tantissimi auguri!!! e poi complimentissimi per i tuoi lavori!!! Ciao Alice! Sei tu la vincitore del premio magnolia. WOW.. Beautiful Scene you have made... Gorgeous Coloring too.. Love all the Details in your coloring and Embellishing!! FAB snow and Glitter.. And your coloring has really given it a 3D look.. Beautiful tags and layers.. Beautiful Flower Decoration!!! Tanti auguri! La card e bellissima. And, stunning card!! Really love the traditional christmas feel. Tilda and baby Rudolph looked perfect here :) pretty colouring and embelishments! Happy birthday! Gorgeous card, so much detail. Great colours and lovely winter/christmas scene. Happy birthday! I hope you have a wonderful day! I really like your card the images are so soft and inviting. Thank you for the inspiration. Happy B-Day! Super ute card! Your card is stunning. Love your coloring and the lay out is fabulous. Great job! Tantissimi auguri di buon compleanno Giada! Bellissima card, mi piace il tuo modo di usare il rosso - rosso chiaro-aranciato come in questa card o rosso-rosato che ho visto in altre - dà sempre uno "special touch"!!! Inanzitutto tanti auguri di buon compleanno!!!! La tua card è semplicemente meravigliosa! Bella la colorazione e belli i detagli! Gorgeous card, Giada! Love the color combo with red, white and creme. Fabulous colouring too. And a very happy birthday to you on special day! Happy Birthday, enjoy your special day. Beautiful card, so much to admire!! Happy Birthday and have a wonderful day. Your card is just beautiful. Love your coloring and all pretty details! Happy birthday!!! Your card is stunning. I love every detail. Such vibrant colors! I like the red! And Congrats on your birthday all the way from Sweden! wow lovely card, i just joined i have admired the wonderful tilda's, hopefully some day i can even afford to get some. thank you for sharing your creative talent with us. Happy Birthday Giada. You have put a lot of work into your card and it is most effective and very attractive - congratulations. Gorgeous card, so much detail. This is a phenomenal creation.....superb coloring and magnificent design work!!! Come sempre le tue card sono dei veri e propri capolavori!!! Happy Birthday and I hope you have a wonderful day! Your card is absolutely gorgeous. I love every detail of it. Especially all the red accents. Hugs Carla. Oh, wow!!! Your card is a dream. The colours are beautiful and your colouring is true perfection. Happy Birthday To You! I wish I was 24 again. Happy birthday to you!!!!! In Dutch: van harte gefeliciteerd met je verjaardag! I saw you on facebook and I found your blog... I like your cards and I'm your new follower! So beautiful coloring and flowers, I like it! First of all i wish you a very happy B-day. Your card is absolut gorgeous. Love the little reindeer, so sweet. Bellissima card! Hai scelto dei colori molto particolari per il Natale...sei veramente brava! ....e naturalmente AUGURI!!! La card natalizia è una meraviglia... adoro i timbri magnolia... complimenti. Semplicemente favolosa!e anche se in ritardo...Tanti auguri!!! Happy Birthday to you and your wonderful card! Lovely card, adorable images, and love all the snowy scene and glitter. Happy birthday to you! Hope, you have had a wonderful day! Hello, Happy Birthday ... happiness!!!! Happy Birthday and a very merry christmas! Lovely card, red colour - very nice. This is just so sweet! You have colored your Magnolia stamps so beautifully and I love your flowers! Many happy returns of your birthday! This is adorable, Giada. I love the sweet winter scene you created. Happy Birthday! I hope you had a wonderful day. Happy Birthday Giada! Your card is fantastic! I love it! The colors and all sweet little details are perfect! your card is soooooo cute. Love everything about it. Beautiful!! Merry Christmas to you and your family, and thanks for all your inspiration!! Christmas Edwin Ball + First Blog Candy!